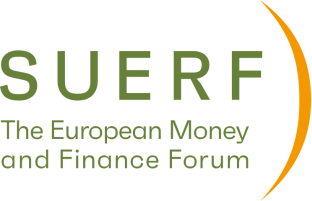 SUERF - The European Money and Finance Forum awards the best contributions to the Colloquium. The Marjolin Prize Award was established in Thun, Switzerland, in 1995 as recognition of Robert Marjolin and his support for outstanding young author’s research paper and publication. The prize includes a financial award of EUR 2,000 as well as a one year personal membership of SUERF Association. To qualify for the prize, the authors must be no older than 40 on the date the prize is awarded. Robert Marjolin (1911-1986) was one of the most distinguished European economists of his generation and a leading architect of post-war Europe. From 1948 until 1955 he was the first Secretary General of the OEEC (Organization for European Economic Co-operation). This organization was established to channel US Marshall Aid into the reconstruction of Europe. Marjolin was a leading negotiator of the Treaty of Rome for France and Vice President of the European Commission for finance and economics for 10 years. He served as a Professor of Economics at the University of Paris and the University of Nancy, and in the private sector as advisor to leading European and US Companies.